What is Standard Chartered Mobile App? Standard Chartered Mobile App is a rebranding of existing Breeze mobile application which comes with alternate login mechanism via Touch ID/Fingerprint authentication. What is Touch ID/Fingerprint authentication? Touch ID is a simple, secure way to access Standard Chartered Mobile App via touch-enabled IOS/Android devices using built-in fingerprint-sensor technology. What are the system requirements for Touch Login? Standard Chartered Mobile Touch Login feature will work on the Touch ID/Fingerprint enabled devices only (Please refer to the List of Supported Devices for Touch ID Login). This service is not available for any other device not listed in the list. What if I do not have supported device/OS version for Touch ID? You can still download the application but Touch ID login service will not be available for you. You can login by entering your existing user id & password. How to enable Touch ID in Mobile Banking App? To enable Touch ID, you need to click on the Touch ID icon on the login page. You have to provide a valid username/password in order to complete the registration process. You can immediately login using your fingerprint after successful registration. Standard Chartered Mobile App will prompt you to setup your fingerprint on your device if you click on the touch login icon. What if I have multiple fingerprints including other user(s) registered on my device? 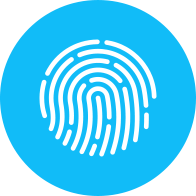 Standard Chartered Mobile App will accept all fingerprints available on the device before the Touch ID login service registration and allow you to login with all fingerprints available on device. Although Touch ID is designed to be secure, but it is not recommended to enable it in your device which is being shared with others. What if I add one or more fingerprint(s) on my device? Standard Chartered Mobile App will automatically disable your Touch ID login feature on existing application and when you try to login with Touch ID, the application will suggest you to re-register for the Touch ID login feature. What if I remove one or more fingerprint(s) on my device? In such case, Standard Chartered Mobile App will automatically disable the Touch ID login feature for your existing application and when you try to login with Touch ID, the application will suggest you to re-register for the Touch ID login feature. What if another user login to my Touch ID login enabled application using his/her username/password? In such case, Standard Chartered Mobile App will automatically disable the Touch ID login feature on your existing application and when you try to login again with the Touch ID feature, the application will suggest you to re-register for the Touch ID login feature. Is there any limit on number of devices which I can register for Touch ID login service? You can only register Touch ID on maximum 10 devices. Where is the fingerprint information stored? Does Standard Chartered Bank have access to it? Touch ID fingerprints are stored on the device and encrypted with a key only accessible through the device. Standard Chartered Bank cannot access the actual finger print but are only able to determine whether the fingerprint is valid. If the device doesn’t recognize my fingerprint, can I still access Standard Chartered Mobile App? If you have failed consecutively for three times the Touch ID authentication, you will have to login using your existing username/password. Both username/password and Touch ID options are available on the login page. What additional security is included in this feature? Not storing usernames and passwords on the device. Instead, a token is stored securely in the device’s Keychain and cannot be transferred to another device. If you try to login using Touch ID, but cannot provide a valid fingerprint after three attempts, you must enter your existing username/password to access or to re-enable the Touch ID feature on your device. SMS Notification will be sent upon Touch ID enabling/disabling. What if I don’t want to use Touch ID anymore? You may choose to disable Touch ID in pre-login and post login menu option by clicking “Configure Touch ID” and proceed as per the instruction therein. Another user (user B) uses your phone to login into their Standard Chartered Mobile App which already setup with your Touch ID feature. Additional fingerprint is added/deleted in the mobile devices. What if a Touch ID-enabled device is missing/stolen? Subsequently, you need to login to Online Banking and change your password. By doing that, Standard Chartered Mobile App Touch ID feature will be revoked in all the linked devices including the missing/stolen one. *The list would continue to grow with the launch of new phone/model.